How to Get Rid of Tan Lines Fast. Tan lines can form quickly when you're exposing yourself to the sun without protection. Whether they're in the bikini area or someplace much more noticeable, tan lines are usually considered ugly. When you're dealing with tan lines on your face, decolletage or another prominent area, here's what to do. Of course, the basic solution of getting rid of tan lines is a full body tan, but that's not always what you want to do. There are plenty of tricks that can help you get rid of tan lines, but don't say no to an artificial tan without even considering it. A salon tan can help even out your skin when done by professionals. If you're wondering how to get rid of tan lines with sunless tanners at home, that works too, but you're always at the risk of getting a streaky tan, especially if you only exfoliate some areas and not others in hope of getting rid of tan lines faster. The temporary solution is make up, and using the right products you can make your tan lines completely disappear for a short time, when you need to look your best. Go for a foundation designed for your entire body if the tan lines aren't on your face. Regular foundation won't give you the same results. Get the shade closest to the color of the tanned part of your skin and use a foundation brush for best results. Once you've applied the foundation, you should finish your look with a shimmery bronzing powder, another product that should be for full body use, not just for your face. Apply it with a large powder brush. Not your method of choice on how to get rid of tan lines? Exfoliation is always a good idea, but using lemon juice can help you get rid of the tan on your skin faster. Rub freshly squeezed lemon juice on the tanned areas before you take a shower, but stay out of the sun once you're dry. 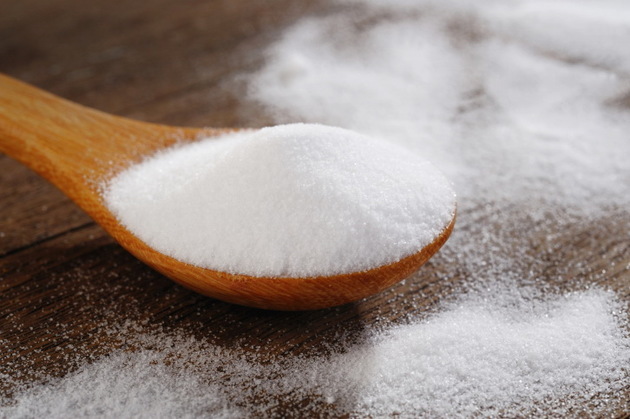 Even more potent when it comes to getting rid of tan lines, baking soda is a natural way to get your skin back in shape. For the best results, make a body scrub using one cup of baking soda, one tablespoon of sugar or sea salt and half a cup of water. Once you've got a thick paste after mixing all the ingredients together, rub it gently on your skin on and around the tan lines using circular motions, either clockwise or counterclockwise, whichever motion feels more natural. Once the difference starts to fade, you can also use a sunless tanning lotion that takes several uses for the final color to completely hide your tan lines.